iPhone 7 vs Samsung Galaxy S7, who is more popular? The customers have the right to voice. Besides them, the newly released Galaxy Note 7 comes with symmetric design, big-thinking S Pen, HDR movie- and Vulkan game-capabilities and many more exciting new highlights, standing out from its two already impressive phones of 2016, the Galaxy S7 and Galaxy S7 Edge. But with iPhone 7 drawing near, people have been talking left and right about new features the two giants will bring us. 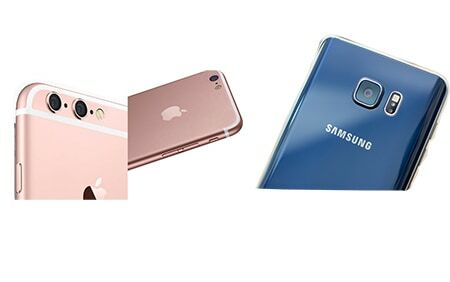 Here, I've gathered all the infor associated with Samsung Galaxy Note 5/7 and iPhone 7, and bring you detailed information about comparison between Samsung Galaxy Note 5/7 and iPhone 7 in design, display, price, release date, camera etc. for you to check out. 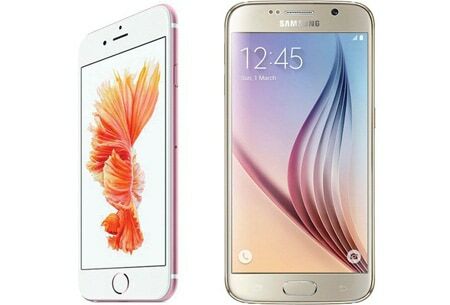 It's said that iPhone 7 vs iPhone 6 Plus vs Samsung Galaxy S6 are much of muchness in design. Is it true? Read on and let me tell you. Taking lessons from iPhone 7's "Bend Gate", Apple used the 7000 series aluminum alloy in iPhne 7, 60% stronger than most aluminum without any additional weight and improved internal mechanics, to prevent the same problem happening on iPhone 7/Plus. Meantime, we can see more surprises from the Samsung Galaxy Note 5 vs iPhone 7 in design war, the new black and jet balck are new colors added to the iPhone 7/Plus, in addition to the previous rose gold, gold, sliver edition. A premium language design, metal design are continually adopted in the fifth-generation Galaxy Note as used in Galaxy S6/Edge. But Galaxy Note 5/7 comes with non-removable Li-Po 3000 mAh battery, no microSD card, stylus slot at the bottom, etc. It seems that Note 5/7 is only a update version of the Galaxy S6. the analyze of Samsung Galaxy Note 5 iPhone 7/6S differences in design will go deeper with more Samsung Galaxy Note 5/7 vs iPhone 7 information below. See also: iPhone 8 vs Samsung Galaxy S8; iPhone 8 vs iPhone 7/Plus, iPhone X vs iPhone 8, iPhone X vs Samsung Galaxy S8, iPhone X pros and cons. The external micro SD card slot for expandable storage always makes Samsung a more welcome device than iPhone. However, Samsung kills this feature in Galaxy Note 5/7. Now Galaxy Note 5 is loaded with an internal 32/64/128 GB, 4GB RAM. In comparison with Samsung Galaxy Note 5/7, iPhone 7 wins out this time, starting from 32GB and going up to 256GB, 3GB RAM for iPhone 7 Plus. It means that you can freely download movies to iPhone 7/7 Plus with 4K or 8K resolution. However, even a 256GB iPhone seems a little bit limited considering the increasingly clear pictures and videos which come in quite large sizes. Luckily is that you can easily free up iPhone space. MacX MediaTrans, a professional iPhone manager, will backup and transfer iPhone media, including live photos, 4k pictures, hd videos, movies, music, playlists etc from iPhone iPad iPhone to computer by drag and drop. Both LG and HTC all feature QHD display with 2560 x 1440 pixels. But iPhone 7 have no higher display resolution than iPhone 6s/Plus do. But 3D Touch is still added to iPhone 7/Plus. 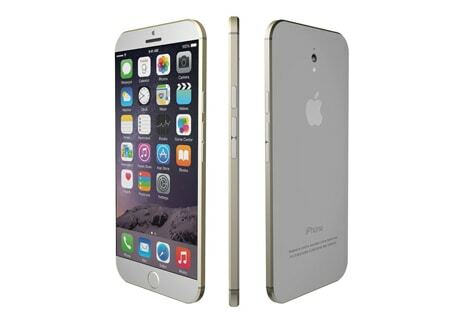 And the screen size stays the same as the iPhone 6s/Plus, 4.7/5.5 inches. It will be wonderful to have some full HD iOS 10 wallpapers or 4K videos on iPhone 7. See more iPhone 7 pros. News about Samsung Galaxy Note 5/7 iPhone 7 review suggest that Samsung Note 5/7 has Quad HD display (1440 x 2560 pixel resolution), Super AMOLED capacitive touchscreen, putting more effort on Samsung Galaxy Note 5 vs iPhone 7 battle. The new Galaxy Note has larger screen size than iPhone 7/Plus and iPhone Pro ( 5.7 inches (~75.9% screen-to-body ratio) vs 4.7 inch). Comparison between Samsung Galaxy Note 5/7 and iPhone 7 camera is essential. iPhone 7 adopts a 12MP camera that can shoot 4K video at 30 FPS, a 7MP FaceTime camera that can use the entire screen as a flash. Plus, the upcoming iPhone 7 Plus or iPhone Pro will sport with a dual-lens camera system with 12MP wide-angle and telephoto cameras, that's quite refreshing! Samsung Galaxy Note 5 vs iPhone 7 in camera, iPhone 7 takes a good chance, as Samsung only boasts a 16MP camera sensor, and Google's camera API (old stuff), simultaneous HD video and image recording. Software also plays a big part in the Samsung Galaxy Note 5/7 vs iPhone 7 war. iPhone 7 is going to pair with the latest Apple mobile operating system iOS 10. After the iOS 10 update, iPhone 7 users will embrace enhanced performance, new features, bug fixing as well as improved stability. Now, you can update to iOS 11. A new look Siri yet with enhanced security can be seen on the new iPhone. One thing we've heard of is that the Note 5 focuses on new camera technology, as well as Android 5.1 update, which changes the software comparison into iOS 9 vs Android 6.0 war. Apple has announced the release date and price of iPhone 7, September 16, $649 for the 32GB iPhone 7, $749 for 128GB and $849 price for iPhone 7 256GB. Not left behind in the comparison between Samsung Galaxy Note 5/7 and iPhone 7/Plus, Samsung launched Note 5 during the height of summer, August, earlier than iPhone 6S/Plus release date. 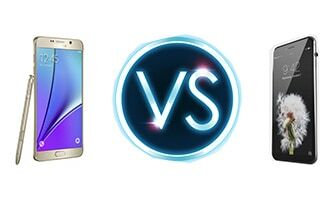 There won't be much price differences between Samsung Galaxy Note 5/7 and iPhone 7/Plus, 64GB Note 7 is around $850, 64GB Note 5 for $840, but the price is expected to come tumbling down, otherwise, in the Samsung Galaxy Note 5/7 vs iPhone 7 battle, it's a draw. 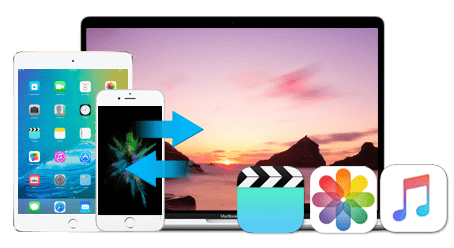 MacX MediaTrans is an all-in-one media manager for iOS users to transfer music, pictures, photos, videos etc between Mac/PC and iPhone, iPad and iPod. World's fastest speed and best quality!